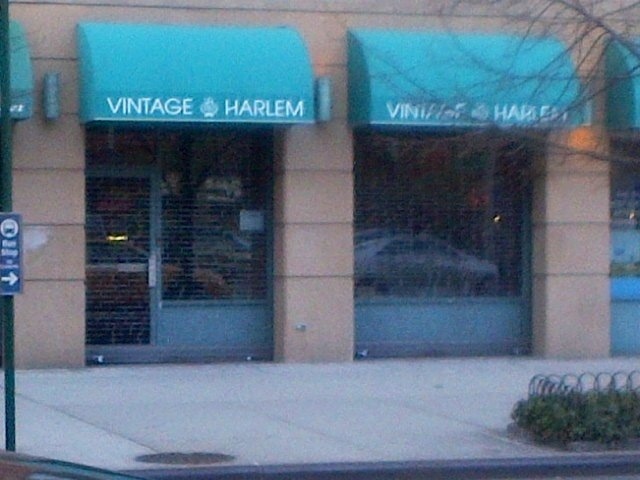 Harlem Vintage | HarlemGal Inc.
What’s up with Harlem Vintage a reader asks? Yesterday, a reader asked if we knew that the old newsstand on West 112th was ‘For Rent?’ Today, a reader is asking HarlemGal Inc., what’s up with Harlem Vintage? The reader explained that they were in Harlem Vintage recently and could not help but notice the “shelves just keep getting more and more bare.” Does anyone know what is up? Is Harlem Vintage letting their stock sell out to close? Or are they clearing out the store to make more room for Nectar Wine Bar ? I hope it’s the latter. If anyone knows what’s up, give us the lowdown! Several Harlemites have $20.11 posted on their Facebook or WeHarlem pages and it’s not a reminder of the current year. It’s locals reminding us through social networks that it is restaurant and retail month right here in Harlem. From April 15 to May 15, select local businesses are offering special deals. If you’re wondering who is participating, see the complete list below. Last year, I went to Chez Lucienne and enjoyed the meal and deal very much. I wonder where I should dine this year for this occasion? And a big thanks to Harlem Park to Park, who is once again leading this effort to promote all the wonderful retail businesses we have right here in Harlem. Tagged 67 Orange, bier international, bikram yoga, Chez Lucienne, Chocolat, dining out, Franz James Floral Boutique, Gran Piatto D'Oro, Harlem Flo, Harlem Park to Park, Harlem Vintage, Levain Bakery, Lido Italian Restaurant and Bar, Moca Lounge, Native's Restaurant, Nectar Wine Bar, Red Rooster, ristorante settepani, shopping, Slyvia's, Society Cafe. Two weeks ago, I blogged about the top-selling wines at The Winery. 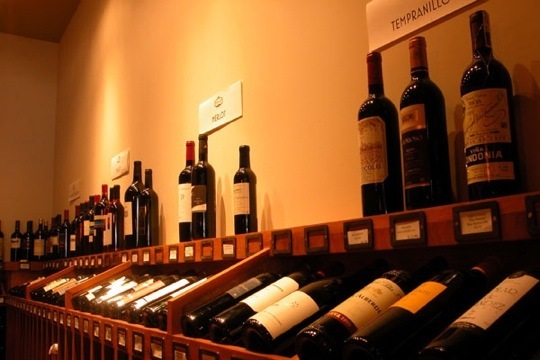 When I wrote that post I was asked “where else can one purchase wine in Harlem?” The response I quickly gave was Harlem Vintage or stop by for a drink at Nectar on Frederick Douglas Blvd and 120th Street. Soon after, I went through some of my old notes and emails, and I came across another option for Harlemites to purchase wine. Wha…la! And this option is linked to Harlem like the others. May I introduce Sugarleaf Vineyards and Winery. Sugarleaf Vineyards is 100 percent wholly owned by The Bias’, who reside right here in Harlem with their two kids. They often commute back and forth to Virginia to manage their vineyard. However, their home base is a lovely brownstone in Central Harlem. While the ingredients, barreling and bottling for Sugarleaf wines may take place in Virginia, they hold similar accolades as fellow Harlemite Marcus Samuelsson when it comes to White House honors and the Bravo TV Channel. Their 2008 Petit Manseng was served at The White House for the 2010 Governor’s Ball and their winery was featured in a recent episode of The Real Housewives of DC. So if your interested in purchasing wines made by Sugarleaf, click here to order. They ship to New York City in increments of 3, 6, and 12 bottles. 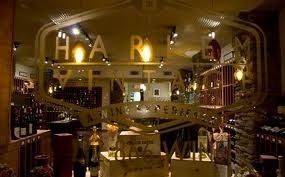 Or stick to the walk in plan, Sugarleaf is also sold at Harlem Vintage, Nectar and Red Rooster! Cheers!